Water heater leaks – HELP! I have an older type water heater that leaks. The leak is pooling under the tank but I am not sure where the leak is originating. What is the best route to take when a tank leaks? I do not want to risk a flood. I need to know what is the first step to take, should I attempt to repair the leak or replace the water heater? Water heater leaking – Find the leak first! A leaking water heater usually occurs from corrosion, a bad valve, overheating, or excessive pressure from inside of the tank. A water leak can turn into a flood and cause massive damage to walls and floors. You will need to quickly determine the cause of the leak and fix the problem. This issue needs to be dealt with ASAP to prevent further damage. 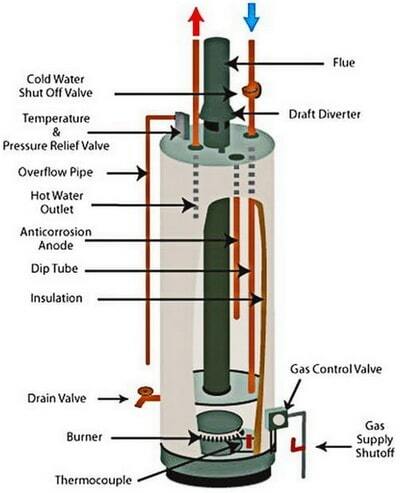 To fix the water heater leak, you need to determine what part or area is leaking. Is the leak coming from the bottom, overflow pipe, element, top, side, or from a valve? The leak can be fixed by checking and repairing any of the parts listed below. If the water heater is corroded and leaking, no fix can truly fix the leak. Replace the water heater if the tank is corroded and leaking water. NOTE: Use caution and turn OFF POWER & WATER to the tank when troubleshooting or making any repairs. First determine where the leak is coming from. 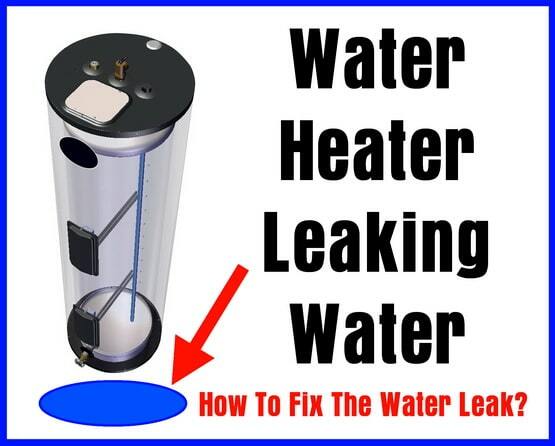 Once you know where the leak is originating from, you can then attempt to repair it yourself. See the list below once you find out where the tank is leaking water from. Water Heater Leaking. Does It Need to be Replaced? A leaking water heater usually means the tank is corroded. Corrosion in the water tank occurs when the tank is old and has not been flushed out on a regular basis. Corrosion eats away at the walls of the tank and therefore water leaks. This type of problem cannot be fixed or repaired. A corroded water tank needs to be removed and replaced. 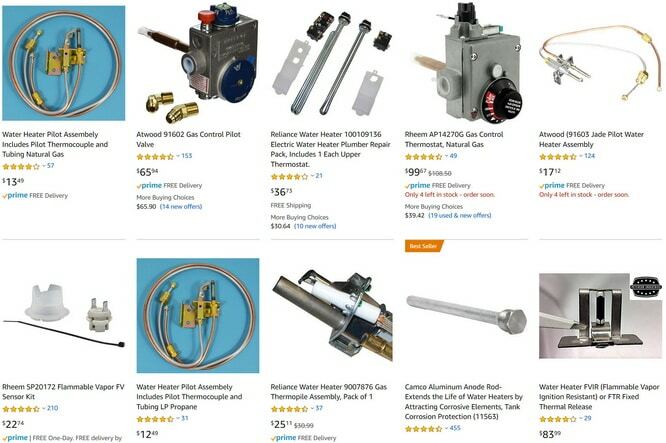 Need to replace parts on your water heater? Considering replacing the water tank? Check out tankless water heaters. They are more expensive but they are more efficient and give you more hot water. Need help with a leaking water heater tank? Please leave us your question below and we will provide troubleshooting assistance. Previous post: Dryer Will Not Start – How To Troubleshoot And Fix?